The National Meteorological Service (SMN) reported that Tropical Storm Katia has developed in the western Gulf of Mexico. 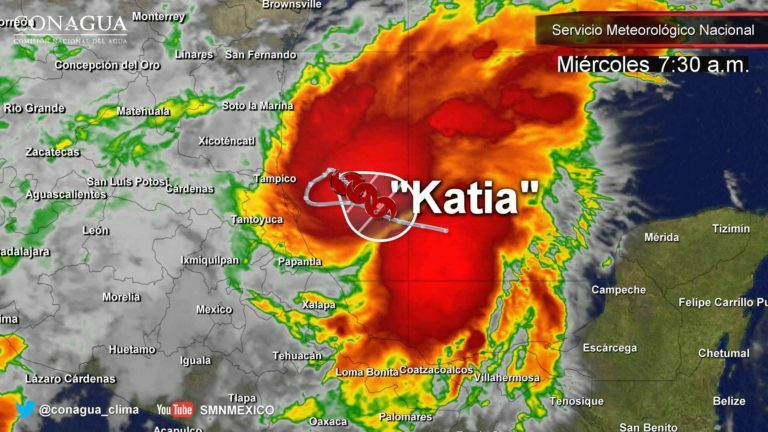 Katia moves towards the southeast, due to the interaction with cold number 2. The storm is located 165 kilometers east of Tampico, Tamaulipas, and a 120 east-northeast of Cabo Rojo, Veracruz. In the next few hours, torrential storms are expected in areas of Tamaulipas, Veracruz and Puebla; intense storms in places of Nayarit, Jalisco, Colima, Michoacán, San Luis Potosí, Hidalgo, Oaxaca, Tabasco and Chiapas, and very strong storms in regions of Nuevo Leon, Zacatecas, Durango, Sinaloa, Guanajuato, Querétaro, State of Mexico, City of Mexico, Morelos and Tlaxcala. 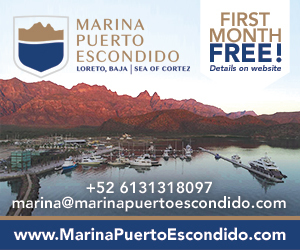 Heavy storms are expected in locations in Coahuila, Aguascalientes, Guerrero, Campeche, Yucatan and Quintana Roo; intervals of showers in areas of Baja California Sur, Sonora and Chihuahua; gusts of wind greater than 80 kilometers per hour (km / h); waves of 2 to 3 meters in the coasts of Tamaulipas and Veracruz, and temperatures that could surpass 40 degrees Celsius in Baja California and Sonora. Weather Service indicated that the rains, wind and waves will be caused by a low pressure channel located in western Mexico and by the interaction of the Frente Frio Number 2, which will extend in the north and northeast of the country, with Tropical Storm Katia.